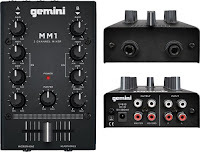 The Gemini MM1 was released in early 2015. It is fairly basic -- the manual is only a single page -- but this little cross-fading mixer offers a good bit of functionality for only $50. Note that Gemini does not have a reputation as a superior-quality brand. Adequate, perhaps, but not special -- a good example of "you get what you pay for". 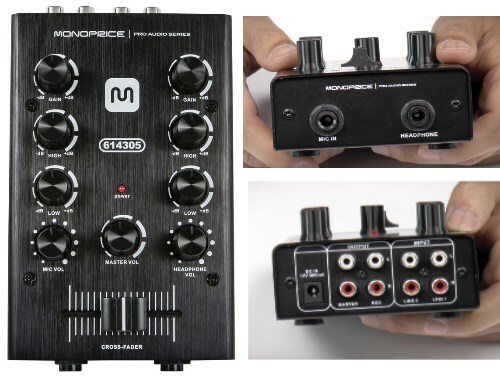 If that's true, however, then the Monoprice-branded version of the same item is a steal at only $35. Entry-level crossfading mixers start in the $50 to $100 range. A replacement part crossfader control for an inexpensive mixer brand costs $10 by itself. 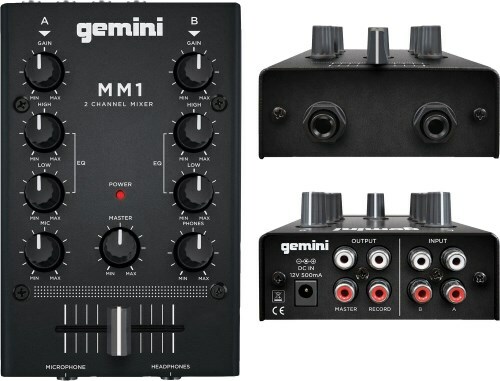 Although the Gemini MM1 DJ mixer is conveniently available from retailers such as Home Depot (huh? 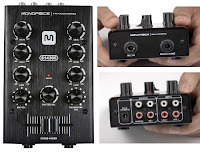 ), the Monoprice-branded version will leave you with some extra cash in your pocket for the cables you'll need to connect to the mixer.